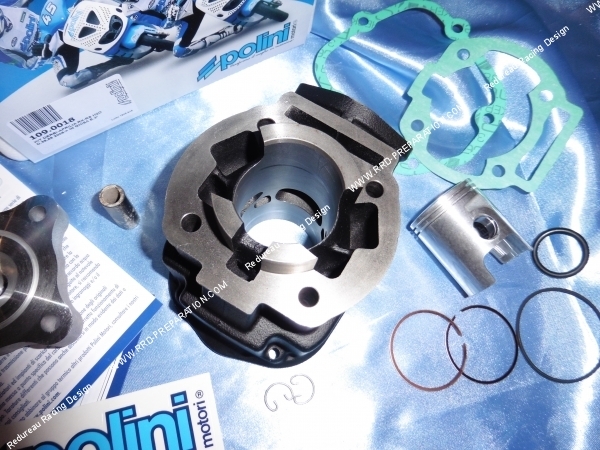 The famous POLINI cast 50cc for 50cc motorcycle with DERBI engine from 2006! 126,65 € 126.65 tax incl. 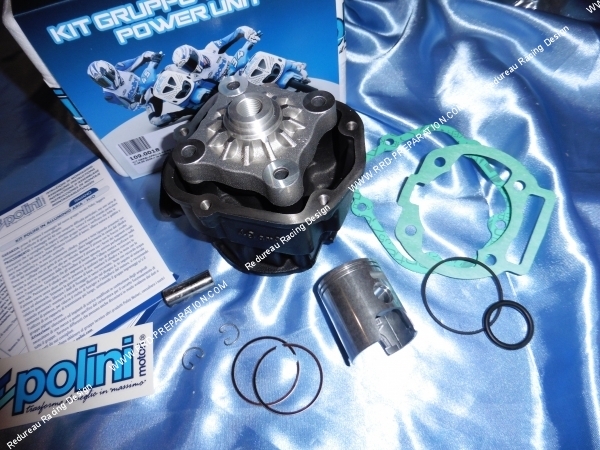 Ideal to increase its performance while respecting its legal displacement of 50cc and with a maximum of reliability, here is the kit cylinder - piston with stud of culche for engines of motorcycle 50cc DERBI euro 3. The cast iron cylinder with a good finish has diagrams reviewed and corrected, like the origin, it has 5 transfers of admission and a exhaust with boosters. The piston is mounted bi-segment to preserve torque and strength. The stud offers a new compression ratio for more performance! We recommend the set with a 19mm carburetor and a sport exhaust! Use only SP98. You will need to use the original head cover! 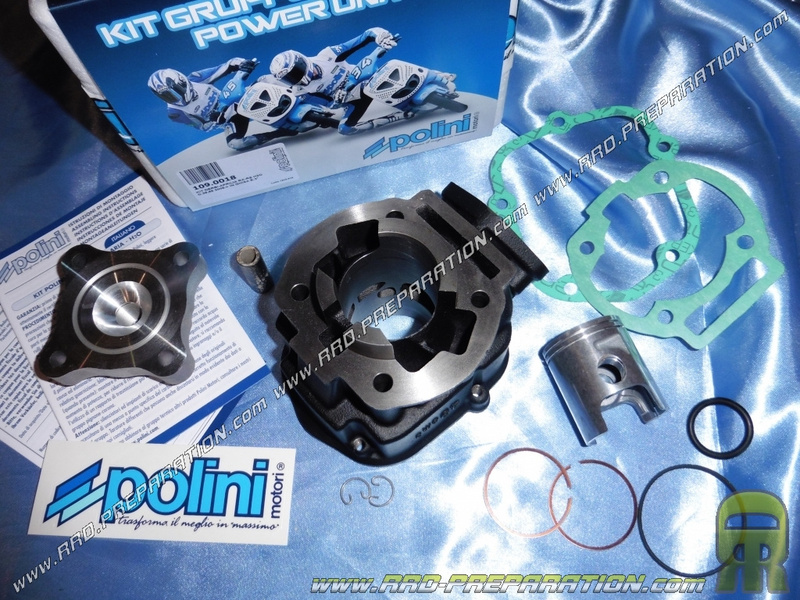 Mounts on motorcycles DERBI, GILERA, APRILIA ... From 2006 engine EURO 3.